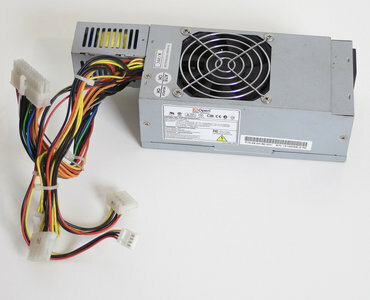 AOpen FSP180-60SAV (PF) SFF power supply. Quality power supply for late 90's and early 00's small form factor pc's (AMD K6 / Athlon XP / Pentium II-4). This item was last tested at 22 February 2018. - Power supply could be powered on several times. - Power supply stayed powered on for at least 5 minutes. - Power supply tested ok using a power supply tester. - Power supply did not make any unusual noises, fan worked fine.